I have been thinking about this site for a while now. I started RPing on it more seriously years ago, but recently have wished to bring it back. 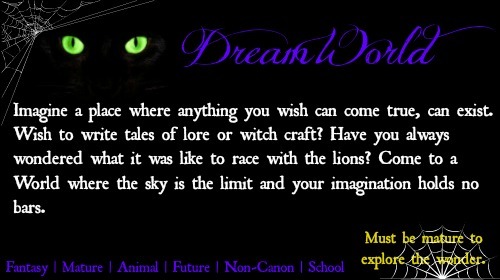 There are mature themes found here, but it's an open realm to indulge your deepest fantasy! You can find me here as DarkWolfProwler!